Freshen Up Fido at the Cummings School’s Annual Dog Wash! 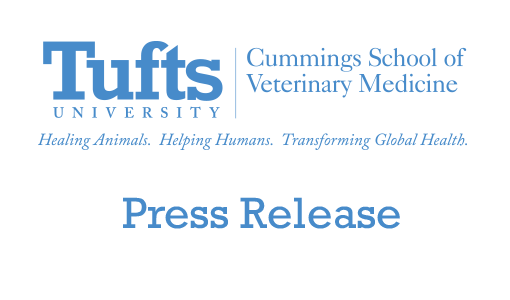 The public is invited to bring their leashed and vaccinated dogs to the 16th annual Community Dog Wash sponsored by students at the Cummings School of Veterinary Medicine at Tufts University from 1–4pm on Sunday, August 22, outside the school’s Franklin M. Loew Veterinary Medical Education Center. 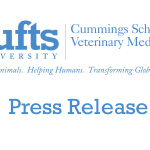 Intended to introduce first-year students to other classmates as well as give pet owners an expert hand with sprucing up Fido, the event is organized by members of Tufts’ Student Chapter of the American Veterinary Medical Association (SCAVMA)—a non-profit student organization at Tufts’ Grafton, MA, campus. All proceeds will go to the Travis Fund to assist owners in caring for their pets. The Loew Education center is just west of the campus’ Administration Building, on Route 30 (Westboro Road in North Grafton). It is building D on the campus map.